The following content has been written by author Matthew Crist in association with the Kitchen and Flooring supplier Finsa Home. The kitchen is the focal point of any home. It’s a place where we cook, we create, we eat and we socialise. However, in the UK alone, the energy used on appliances like hobs and cookers can often put that generated by the rest of the house in the shade; not to mention the amount of waste that is produced. And if you spend a lot of time in the kitchen, the cost will soon add up; not just financially, but in terms of the damage to the planet too. That’s why turning “Greener” really makes sense. Here are some stages to follow in order to turn your Kitchen “Green”. 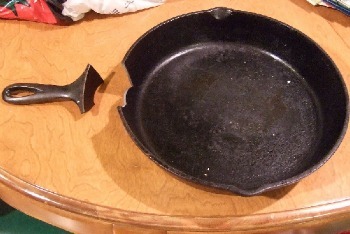 Throwing leftovers away is bad enough, but tossing aside the pots and pans that you’ve used to cook in is a big no-no. A cooking pot will last you a lifetime with a little investment and the same could be said for utensils. Rather than cheap, low-quality wooden spoons and spatulas that can rot or melt, or knives that go blunt over knife. Spend a little more on your kitchen equipment – it’ll be worth it in the long run. For both your wallet and the environment! Fertilizer for your garden can be expensive, so why not make your own? Making homemade compost is a great way of disposing of your old food waste and the rich compost that it can be great for plants and growing your own vegetables. Even a small outdoor area will provide you with enough space to make the most of your food waste by using a simple composter and fruit, vegetables, ground coffee, tea bags, egg shells, rice and even pasta can all produce consistent compost. With appliances designed to make our lives easier, we think nothing of flicking a switch without giving it a second thought. But with a little forward thinking it’s possible to make some real savings when using kitchen equipment. So if you need to boil pasta, think about using the kettle to boil the water first, this will be more energy efficient than using the hob. 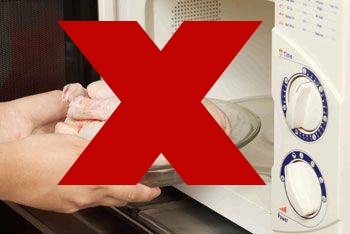 Or if you’re cooking something from frozen, take it out of the freezer the night before instead of using the microwave to defrost it. Essentially, you’re looking for ways to decrease the time in utilising appliances. Plastic bags and containers make-up much of the waste we produce each year, which is obviously bad news for the environment. In fact, there is a huge “plastic island” of rubbish twice the size of Texas floating somewhere between San Francisco and Hawaii weighing over three tons as we speak. So next time you go shopping, take a bag with you. Or even better, purchase a “bag for life”. Old takeaway containers and boxes also make great storage containers for any leftovers you wish to freeze for another time. Being careful with the water you use won’t just help to save the environment; it could also save you some cash too. So make sure your dishwasher is full before putting on a cycle, wait until all the dishes need doing before filling a bowl of hot soapy water, and try not to keep the tap running if you’re peeling vegetables. Furthermore, when washing up, don’t continually pour away the water for new sets of dishes. Fill up with hot water and keep until it goes cold – even if you don’t have any dishes to wash immediately (you soon will!). 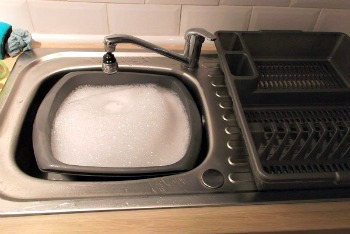 Oh, and be economical with your use of washing up liquid; don’t go crazy! A little goes a long way! Not only does shopping locally mean you use less petrol and create less harmful gasses, but locally-produced ingredients have less distance to travel between the supplier and major supermarkets too. Also, buying local foods in season can be surprisingly cost-effective. So look around for nearby suppliers or farm stores and asking about bargains or buying in bulk to save even more money. Organic produce is grown without the use of pesticides or artificial fertilizers. And, as a result, this reduces the amount of chemicals that ultimately enter the water supply, reducing any potential health risks to you and your family. Obviously it’s not always feasible to buy organic if you’re on a strict budget, so familiarise yourself with the products that are more beneficial if they are grown organically for the benefit of your family and the environment. Conventional ovens may be slightly better than their predecessors, but most appliances use a heck of a lot of energy to generate heat, so using this appropriately is important. Most ovens now heat so rapidly that preheating almost obsolete and a complete waste of energy. Also, make the best use of the oven as possible like cooking more than one thing at once and utilise every spare inch of space available. When using the hob make sure you use a properly sized pot, (using a 6-inch pot an 8-inch burner can waste more than 40% of the burner’s heat) and make sure all your saucepans have tightly fitting lids to maintain heat. While LED lighting may be more expensive than your regular alternatives, their energy-saving capacity means that you’ll be saving in the long run because they last up to 50 times as long than your standard lighting. That means you may have to change your light bulb once or twice in your lifetime!